For many hunters, the first shot is the most important one. Missing it gives the target awareness, and with that, usually an opportunity to escape. 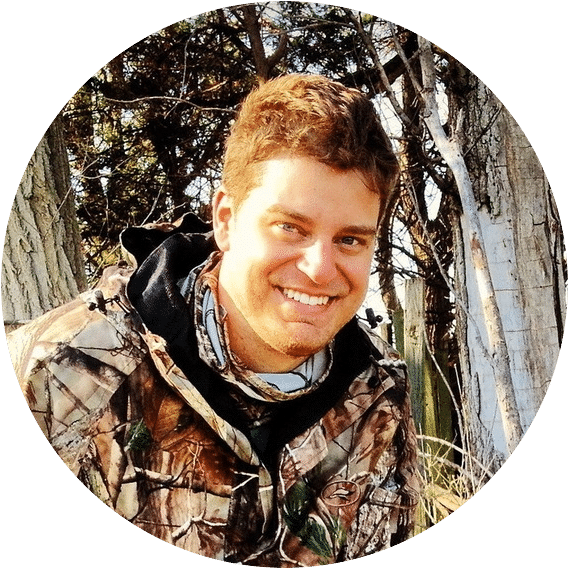 This is especially true for bow hunters for whom, the first shot is usually the only shot because of the length of time it takes to draw and shoot the second arrow. 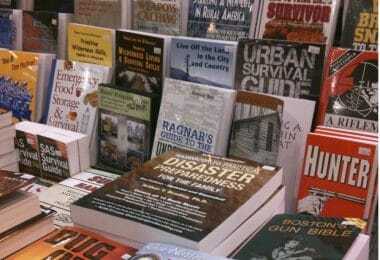 It is important to gain every possible advantage and make every possible preparation prior to making that first shot. Not to mention the extra effort the bowhunter has to spend to close the distance to his/her target because of the generally shorter range of bows. This is why finding the best rangefinder for bow hunting is an important task for any archer out in the field. A rangefinder allows its user to easily gauge the distance to a specific point. This takes a bit of the guesswork out of the process of lining up a shot. Of course, there are other factors such as the angle, the wind, and the target, but having a more or less set distance to work with will ease the burden of estimation that the hunter has to make. Before making a purchase, however, it’s important to note that not all rangefinders are built the same. In fact, there are rangefinders specifically made for surveying and golf. Picking out a rangefinder specifically for bow hunting takes a bit of doing. Here are a few considerations. Target Priority Mode: There are two priorities for rangefinders, first and second priority modes. First priority mode refers to rangefinders that will gauge the distance to the first object its sensors will reach. This makes it ideal for use on a golf course, or when there is an unimpeded view of a target. Second priority can come in different names, depending on the manufacturers. Examples of these are a distant priority and “brush mode”. These, on the other hand, allow you to range an object that is behind a closer object. So if a branch is in the way of a deer, the reading your rangefinder displays will be that of the deer and not the branch. When hunting, you can expect to be ranging your target while in cover or while your target is behind some bushes or tall grass. This makes a rangefinder in the second priority mode the better choice. Though most modern rangefinders will allow you to switch between the two. Magnification: This refers to how powerful the lenses are and how they are able to enlarge distant targets making them more visible. For some, the immediate thought would be the higher the magnification the better. That isn’t necessarily the case for bowhunters. In fact, lower magnification such as 4x is generally preferable for archers. This is because unlike rifle hunters, archers have to be much closer when they line up a shot. Also, holding a rangefinder one handed is easier with low magnification because the image is easier to hold steady. Angle Compensation: A lot of shots that a bowhunter will take won’t be on even ground. The shots will usually be taken from higher elevation such as tree stands or higher terrain that provides a better vantage. This will largely change the line of sight reading between the rangefinder and the target. Angle compensation allows a user to get a true reading by providing the horizontal distance between the archer and the target, which is the distance that a shooter will want. This means that a regular linear reading from a rangefinder might provide a reading of 45 yards while a reading from a rangefinder with angle compensation can give a 34-yard reading. Reticles/Aiming Points: Reticles refer to the crosshairs or the circle you see when looking through a rangefinder. These are usually either in the form of black lines or illuminated colored lines that are LED lit. Both have their pros and cons. Black reticles become hard to see when imposed against a dark background. This can make it tough to use when aiming toward shadowed targets or low lighting. LED reticles while adjustable in brightness can be drowned out in high brightness conditions, even under max settings. Also, during darker times, LED reticles might prove to hamper a user’s night vision. Distance: This refers to the maximum distance that a rangefinder can read. Though this really isn’t of significant importance to bow hunters as it isn’t likely that an archer will be lining up a 150+ yard shot in the field. However, knowing how far you can accurately gauge an object may come in handy as you get a better feel of your surroundings. Description: The Bushnell 202442 The Truth is a rangefinder specifically constructed with bowhunters in mind. It features a three-step process to calibrate the rangefinder with your bow’s speed through its sight system. It shows a dot to indicate the maximum height that the arrow will travel. It will even show the angle by which the arrow will fly. The Truth also features Bushnell’s Angle Range Compensation (ARC) system allowing archers a good idea of horizontal distance even when shooting from elevation or from a lower position. The 4x20mm magnification allows the archer a good peripheral view of the target, just right for the closer distances required by the bow. Bushnell’s Clearshot technology allows you instant feedback on whether or not the shot is completely clear. At longer distances, you might not spot the errant branch that could impact the accuracy of the shot. While it is a great rangefinder for bowhunting, the Bushnell The Truth, isn’t perfect. The sight reading isn’t illuminated. 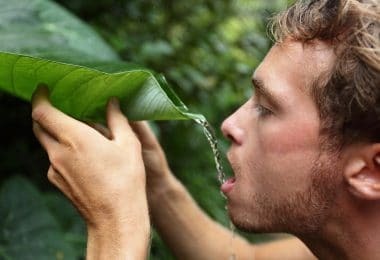 This may lead to a bit of difficulty in terms of quickly getting the readings during low-light situations such as dusk and dawn. You can choose to lase then point it toward lighter colors such as the sky perhaps to read the numbers. 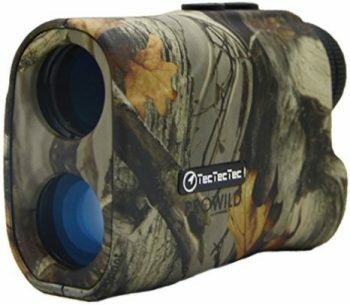 Description: The TecTecTec Prowild Hunting Rangefinder is another powerful option for bowhunters. It’s on the light side weighing in at 6.5g. It provides a max range of 540 yards which may not be the longest range but is well within the needs of bow hunters. The 6x magnification it comes with provides ample vision of a target, though it may be a bit shakier to handle than a rangefinder with a 4x magnification. The eyepiece comes with an adjustable focus lens so your view of your target is always clear. One of the ProWild’s strengths is the speed at which it provides its user with accurate distance measurements. It sports a continuous measurement mode allowing hunters to quickly scan an area and note distances of various objects. Manufacturers have set its error margin at +-1 yard. The Prowild’s body is also built with sturdy materials allowing it to take on the rugged beating it will take with hunters in the field. It is also water resistant making use during a light rain no problem. It also comes with numerous accessories such as a carry pouch and strap, microfiber cloth, spare battery and a manual. 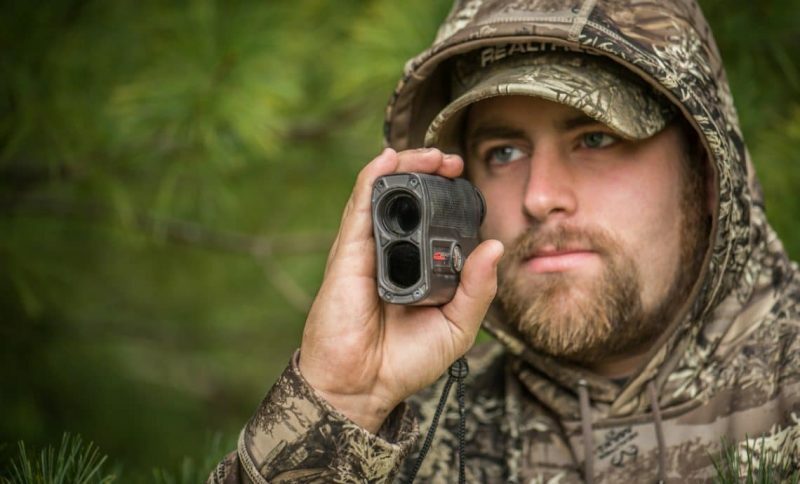 While definitely a solid purchase, the ProWild Hunting Rangefinder does not feature the horizontal angle correction that comes with other units. This gives it a disadvantage when set against other rangefinders if to be used for bowhunting. 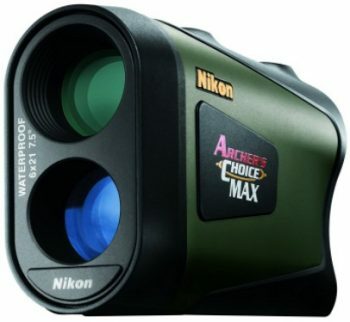 Description: Nikon’s Archer Max is a rangefinder built to suit the needs of bowhunters. With a max range of 200 yards, this sits well within the needs of most archers. (Though this might make it ill-suited for some rifle hunters). The 6x magnification might be more unwieldy than 4x for some, but shouldn’t be too troublesome to get used to. 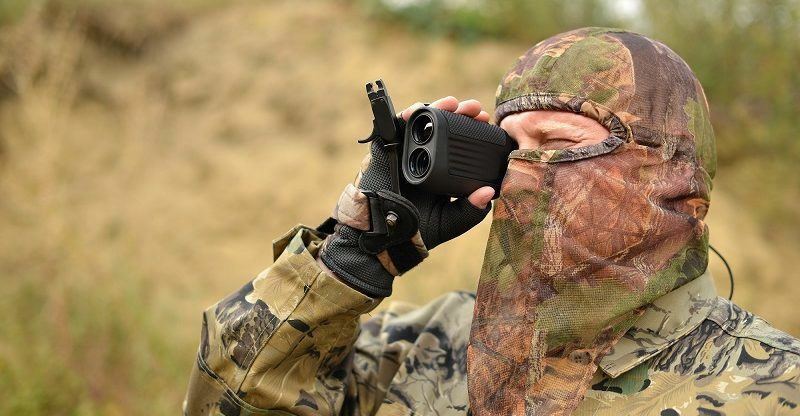 The rangefinder is fog proof and resistant allowing for a degree of added ruggedness. The Max Rangefinder boasts Advanced ID Technology allowing it to provide angle compensation for +-89 degree angles of inclined or declining shot positions. This allows an archer the luxury of not having to make distance estimations on the fly. Another key feature of this rangefinder is its Active Brightness Control. Apparently, an innovation brought about by Nikon’s expertise with cameras. It automatically adjusts the visual display in relation to the brightness surrounding the target. This changes the display to either orange or gray, depending on lighting conditions. This makes The Archer Max the ideal companion during those twilight and dusk hunting periods where other rangefinders might have trouble. It also comes with a neoprene case that is camouflaged and stops the rangefinder from making noise as you move about. Description: The Bushnell Scout DX 1000 is a monster of a rangefinder providing its user with an incredibly powerful ranging option. At 650/1000yards it leads the pack in terms of max range. With the range it packs, it can easily be a companion for rifle hunting savants in aside from bow hunters. It packs both a bow and rifle mode as well. The 6x magnification provides a good middle ground for the two modes. The DX 1000 packs numerous features highly beneficial for bowhunters. It utilizes Bushnell’s ARC technology allowing it to make compensations for shooting while at different elevations, a key feature for bowhunting rangefinders. 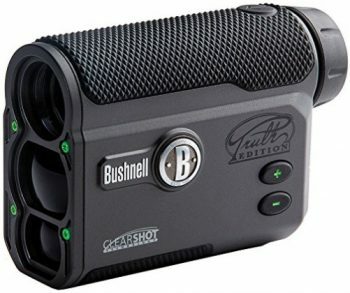 It is also built with Bushnell’s ESP (Extreme Speed and Precision) for a very quick gauging of distances. It also provides a +-1 yard accurate reading. Definitely not a pushover among rangefinders. It also packs VSI optics allowing it to shoot at a target whether in the clear or behind some foliage. It is also highly rugged. It is waterproof and fog proof, providing a ruggedness necessary in the adverse conditions of a hunt in rainy/wet conditions. While it is a great rangefinder as a whole, it does come with a few shortcomings. 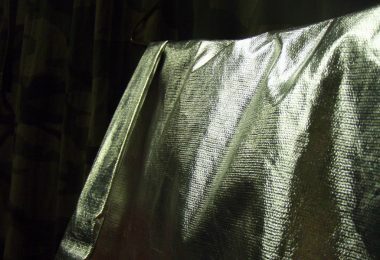 In low light, the optics can be a bit difficult to work with. Description: The Vortex Optics Ranger is a rugged companion, ideal for bowhunters. At 7.7oz it’s a bit on the heavy side, and this may be a factor worth considering if you are the sort to scrimp on weight. The adjustable optics allow a user to choose the ideal setting depending on the lighting conditions. The reflective, multi-coated lenses provide additional viewing brightness. The dioptre also easily adjusts for focusing precision. The reticle and display are in red versus the more common black which may or may not be favorable to you. The rangefinder is calibrated for a +-3 yard margin of error. Not bad considering the shorter distances that a bow shot entails. This rangefinder is built tough. An O-ring seals internal components from damage brought about by water, dust, and debris. Its body is protected by rubber armor coating, providing added protection from unintended, falls and scratches during quick movement as well as a non-slip grip. Also, to add to your peace of mind the Vortex comes with a lifetime warranty alongside very good customer service that other manufacturers aren’t able to match. 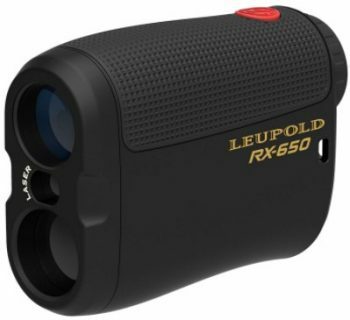 Description: Leupold’s RX-650 Micro Laser is another great product from the company’s long history in producing quality optics for hunting. The lens system comes with a fully multicoated lens giving a bright, clear image. It also boasts a fast-focus eyepiece, allowing a user to quickly make adjustments when ranging in the field. It comes with a scan mode for fast, continuous ranging of multiple objects. It also provides a direct line of sight distance to a target. In terms of its build, the RX-650 is ergonomic. With the soft rubber grip on top and the hard plastic body, getting a good grip on it is not much of a concern. The plastic body is also built to withstand the rigors of hunting. In terms of its ranging, the RX-650’s falls into the first priority category. This means that it won’t be as effective if used in areas that aren’t completely clear. Chances are, an obstructed view of a target can give a potentially bad measurement. Also, at longer distances, it can be problematic. Its range allows it to fit the bill for archers, but rifle hunters might want something with more range. Leupold guarantees its products for a year. However, their customer support is quite substantial, in the event of a potential concern, giving them a call can be worthwhile. 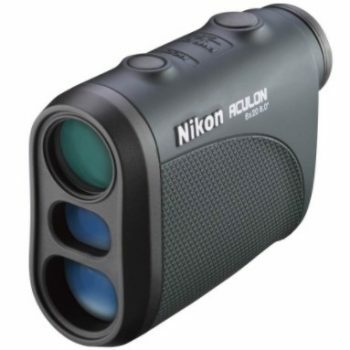 Description: The Nikon 8397 Aculon is a mid-priced rangefinder that is a great option for folks out on a tighter budget. At 6.4oz it feels roughly the same as the other rangefinders would while in your hand. The button interface is simple and easy to use, with its single button operation. The screen is easy to read and the lens sports multilayer coatings for a higher quality view. 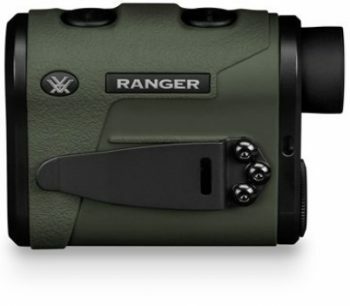 With its 6x magnification and lens quality, coupled with the high level of accuracy this rangefinder provides, you have a solid companion for your next hunting trip. Despite all of this, the Aculon falters as a bowhunting rangefinder in the sense that it doesn’t have angle adjustment. This means you will have to make estimations while on a tree stand or some other elevated or lower position. Also, unlike some of the other options, it does not have brightness control, making it a bit unwieldy in low-light conditions like sunrise and sunset. 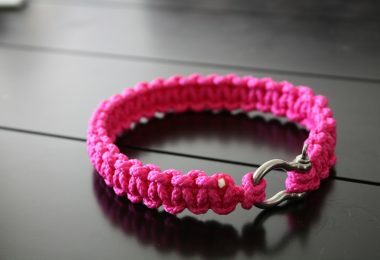 It is also not waterproof, hence, you will have to take extra care of it as you go about your hunting trip. On the whole, if you’re working on a tighter budget and can do without angle compensation, then the Nikon 8397 is a viable option for you. At the end of the day, there is no replacement for the ability to eyeball a distance. Still, however, having a good rangefinder by your side will make the shots you have to make that much easier. The right rangefinder will be dependent on your needs, preferences and budget. When you do find the right one, you definitely won’t regret it.